What sets Carhartt workwear apart from other workwear in the marketplace? The difference is in the details. Carhartt puts their 120 years of workwear design experience into their lines to produce high quality, durable garments that are made to last. Take a closer look at Carhartt's garments and you'll find what truly makes them Carhartt. and fabric with moisture management and anti-odor properties. 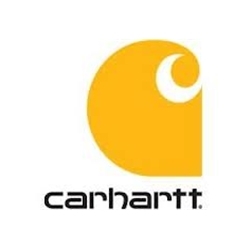 Carhartt offers plenty to choose from. So go on... experience the Carhartt Difference. Embroidery is also available. Call for details.